I am quite excited. This is the new publication from Jonathan Safran Foer who I seem to have to mention at regular intervals on this site. 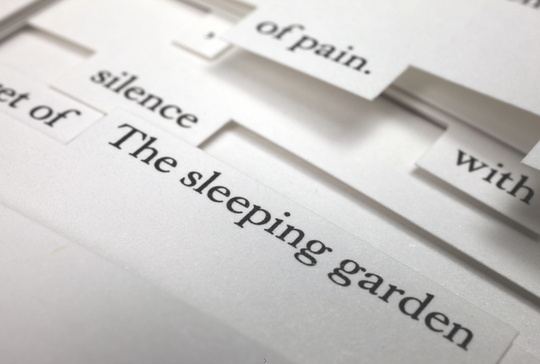 It's called Tree of Codes and is a text created from - and physically cut out of - a version of The Street of Crocodiles by Bruno Schulz. Have a look at the Visual Editions site - they who have made such an epic piece of publishing happen. Good people I think. Ones to work with perhaps? I'm going to place my order and hopefully help guarantee that such projects as these do actually get to see the light of day. Tree of Codes by Jonathan Safran Foer - Public Reactions from Visual Editions on Vimeo.